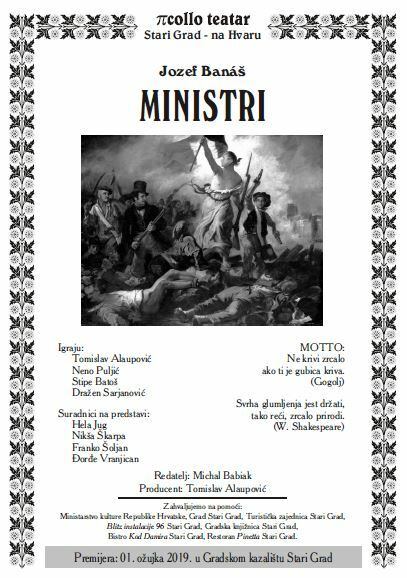 On March 1, the popular theatre company Piccolo Teatar premiered Jozef Banáš´s comedy No Comment in the town of Stari Grad on the island of Hvar. The plot of the play is set in times of Napoleonic France where the two main characters, the Minister of Police Fouché and the Minister of Foreign Affairs Talleyrand, compete for the post of Prime Minister. The very topical play has been directed under the title Ministri by Michal Babiak.